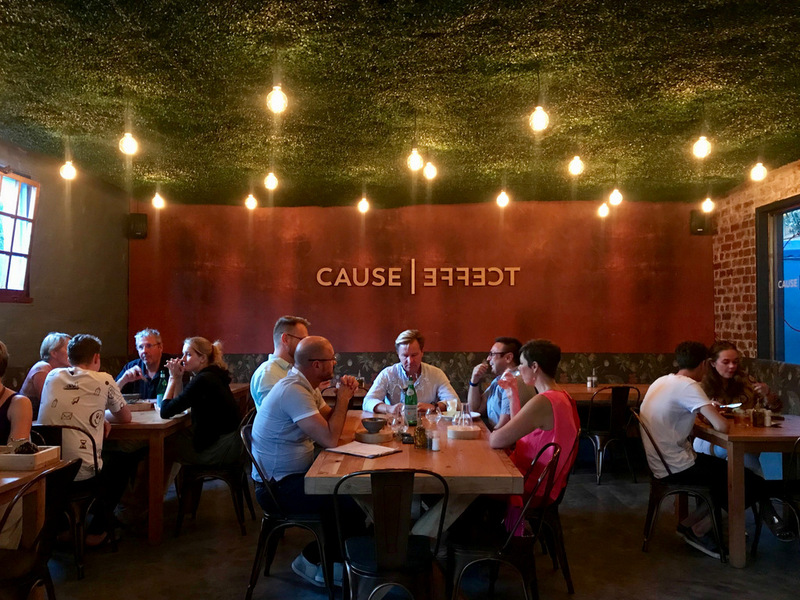 A couple of weeks ago I popped into the new Cause & Effect Bar which is located in Park Road – Gardens, across the road from Fat Cactus and in the building where the old Pasta Factory used to be. 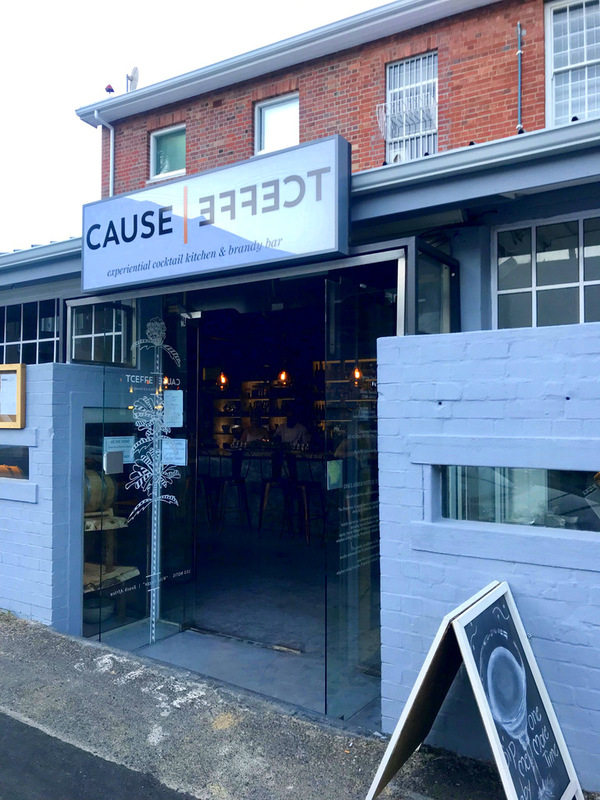 Cause & Effect refers to themselves as an “experiential cocktail kitchen & brandy bar”. Intriguing right? 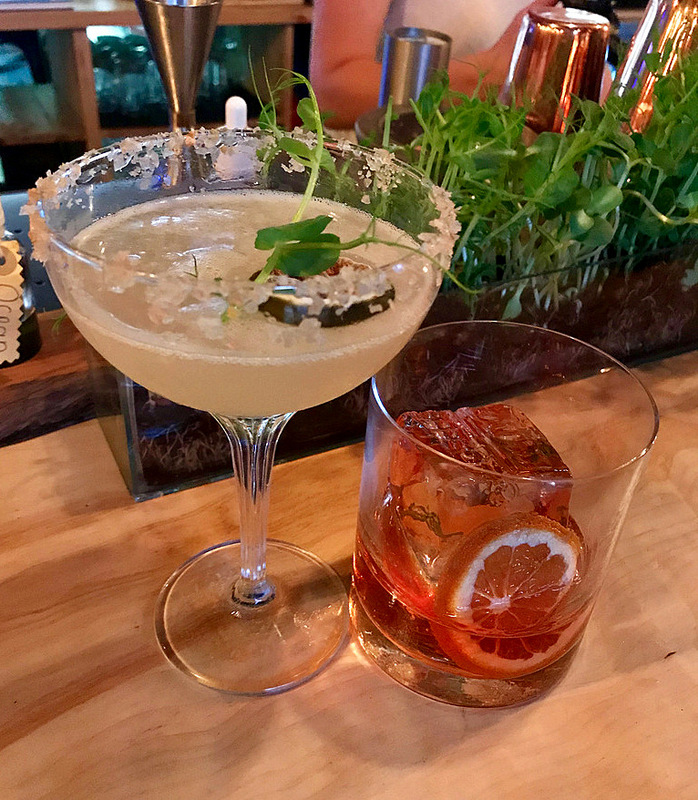 Also, I will admit, I Google stalked them a bit before popping in and saw photos of their amazing decor and just new I wanted to make this my new pre-dinner (or post-dinner) drinks home. They serve cocktails essentially in 3 “courses” – light Apertif cocktails, followed by Cause which is a selection of brandy-based cocktails, then Effect which is a selection of cocktail classics. 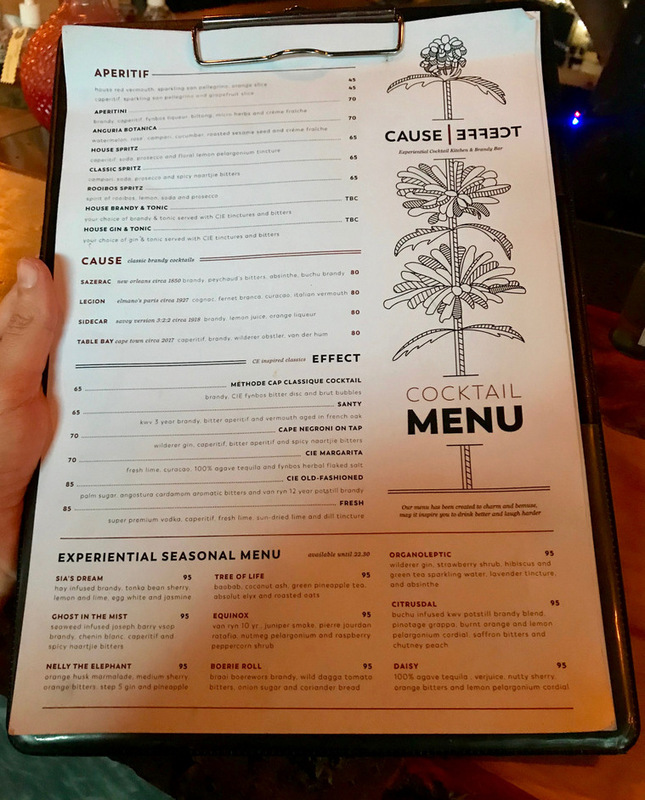 Then for those who want to end off their cocktail exploration with something a little out there, there’s the Experiential Seasonal Menu. 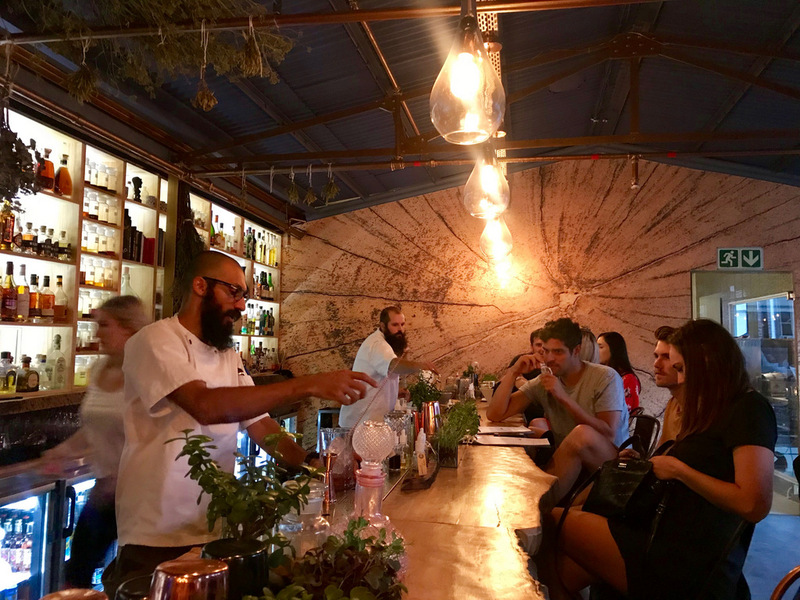 You may recognise mixologist extraordinaire, Marshall Siavash – former head barman at The House of Machines. 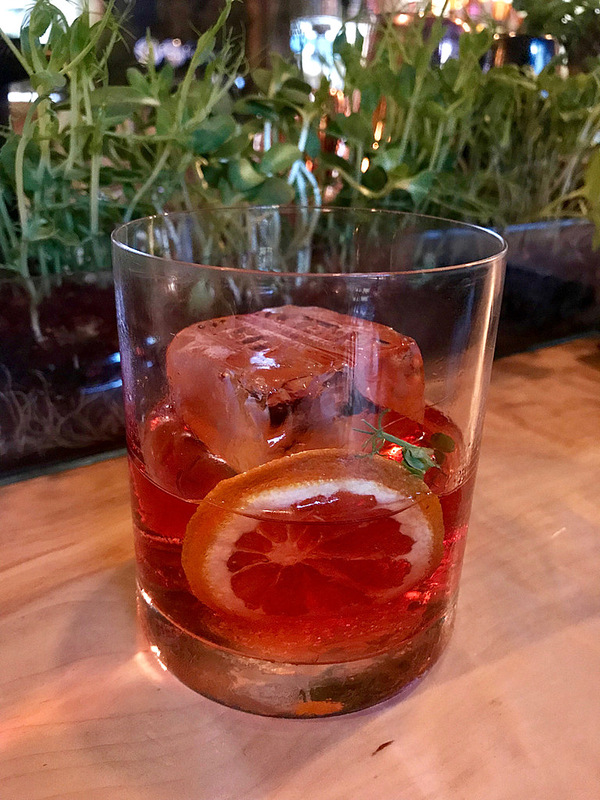 He’s partnered with award-winning mixologists Kurt Schlechter and James Phillips to create this unique cocktail experience. 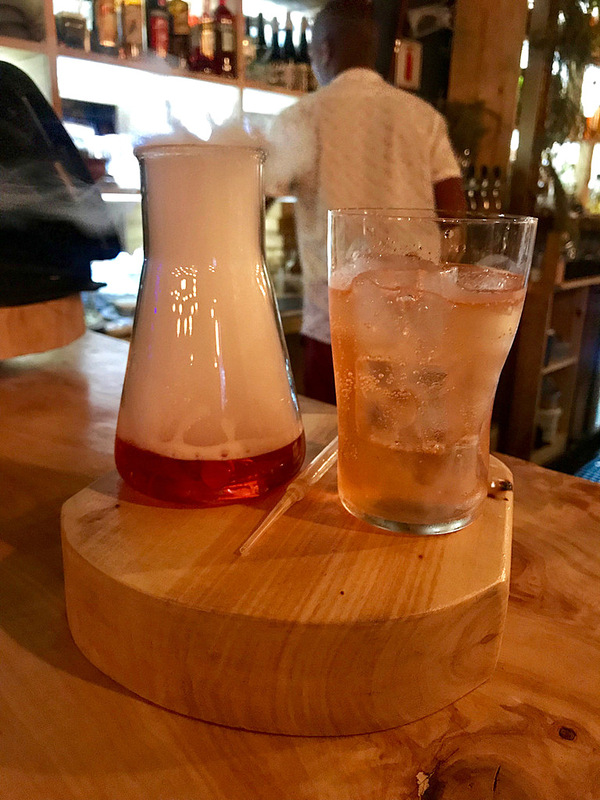 Wilderer Gin, Capertif, bitter apertif & spicy naartjie bitters. 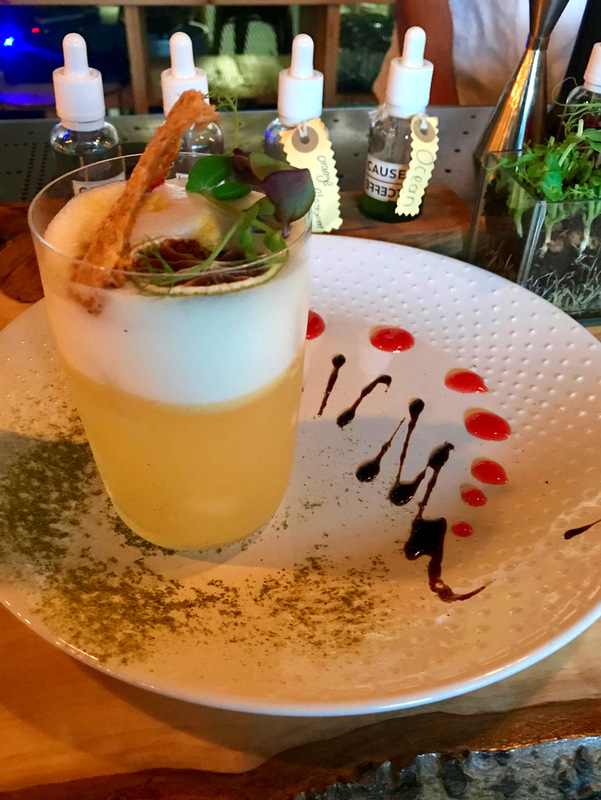 This is their Cie Margarita – fresh lime, curacao, 100% agave tequila & fynbos herbal flaked salt. 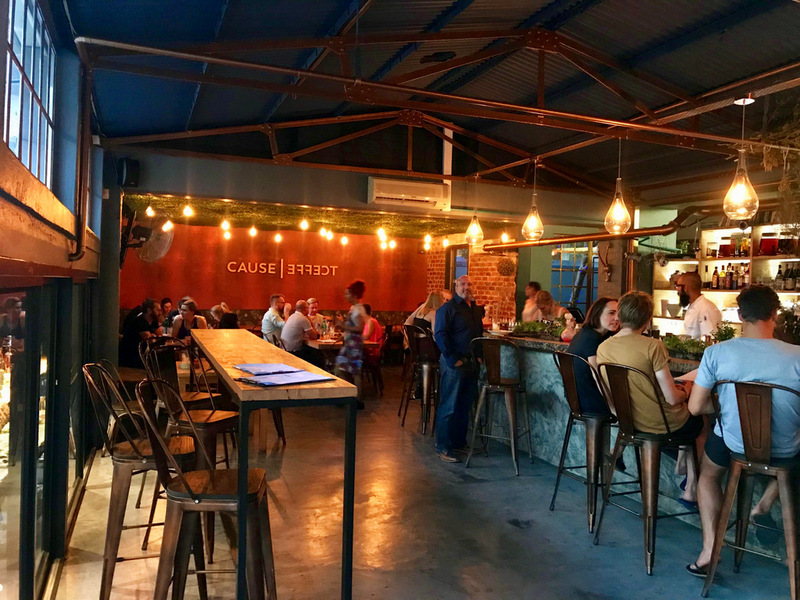 If you’ve been wanting to try something a little different, OR if you’re just keen on a good classic cocktail in a great setting, Cause & Effect is definitely a great option. If you’re hungry they also serve lunch & dinner Tuesday to Saturday. 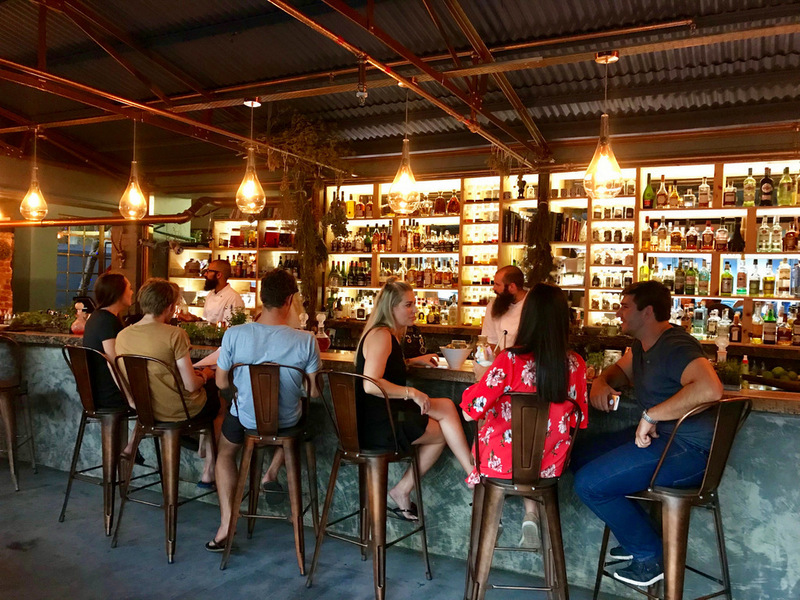 They have a selection of food options which include sharing boards (which comes with an accompanying cocktail designed to complement it), bar appetizers, salads, and a couple of mains including venison pie, a pulled beef burger, brandy flambé steak and a brandy trio mushroom pasta. 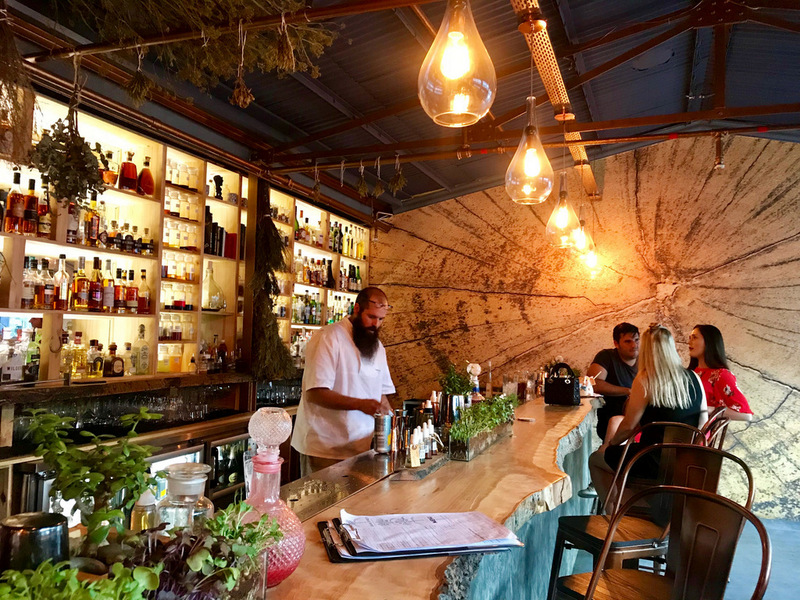 And as a worthy side note: All ingredients are locally sourced and freshly foraged AND they use a waterless system in their bar, chilling each drink without using ice. Love that.